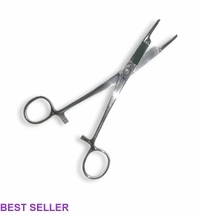 Craft Forceps from Havel's Scissors for fabric, quilting, embroidery and more at Havel's Sewing. Your source for unique tools for your fabric arts. 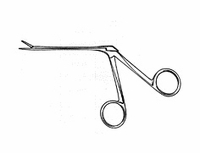 Our craft forceps have large finger loop handles that can be held in place by their hemostat locking mechanism. The locking mechanism is a series of interlocking teeth, a few on each handle, that allow the user to adjust the clamping force of the pliers. A great tool for any craft artist needing help with positioning soft stuffing or small objects.